We won’t have final statistics on 2014 for quite a while, but if history is any guide, something like fifteen to eighteen thousand people achieved initial pilot certification last year. One of the most notable additions to the pilot cadre is a gentleman named Michael G. Whitaker. He’s Deputy Administrator of the FAA — the number two man at the agency — and one of the highest ranking officials in a very, very long time to obtain an airman certificate. Whitaker passed his private pilot checkride last October on the first attempt. According to his bio, he also happens to be “the Chief NextGen Officer and is responsible for the development and implementation of FAA’s Next Generation Air Transportation System (NextGen).” NextGen is one of the most high-profile projects the FAA has undertaken in the last thirty years. In other words, even before he got into the left seat, Whitaker was not an aviation neophyte. His professional background includes eighteen years working at United Airlines and the now-defunct TWA. I don’t know if this is an aberration or the start of a trend, but I hope it’s the latter. At one point, many of the key people at the FAA were pilots. Even run-of-the-mill air traffic controllers could often be found on both sides of the radio. Many of the early FAA Administrators were aviators, too: Halaby, Butterfield, Bond, Helms, and so on. Today? Unfortunately, they’re almost exclusively bureaucratic appointees, sometimes with no serious connection to general aviation at all, and it’s rare to find a controller who flies. The lack of flying experience by those who are charged with maintaining, improving, and regulating America’s airspace system has a detrimental effect on the policies and programs emanating from the FAA. And why wouldn’t it? Running any organization successfully requires intimate knowledge of the nuts-and-bolts of that business. Is it any wonder that GA has suffered over the past few decades? I wish I could put into words how things improve when the person you’re dealing with is a pilot, but the best I can do is describe it as the difference between pantomiming and speaking the same language. Hopefully Mr. Whitaker will continue to add ratings and certificates, using the knowledge he gains to see the industry from a fresh, almost unheard of perspective: that of a pilot. 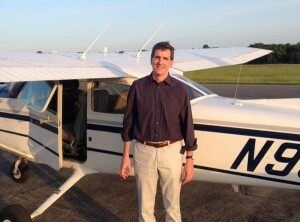 Based on his post-checkride comments to AOPA, the transition may have already started. Does his impression of flight training ring any bells? 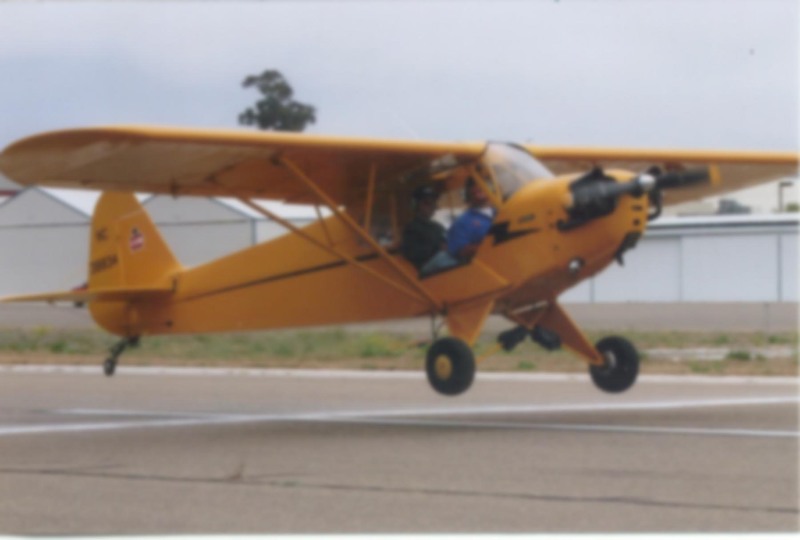 Whitaker said the sheer volume of information to learn was a challenge, as was learning old technologies he knew he wouldn’t have to use very much after earning his certificate given the flight planning assistance that technologies like apps can provide. He also ran into the two classic student pilot challenges: time and money. When he was putting himself through law school, money was the issue, he said, although at that point he was only dabbling in flight training. “Of course, now the formula is completely different,” he said of returning to flight training while maintaining his duties at the FAA. “You have the money but not the time. … Getting the hours in the airplane and the training sessions was the challenge.” He set aside the time to fly frequently and advised other student pilots to do the same; when he had to take much of September off from flying, he said he felt like he lost ground. Most of us who write about general aviation have spent years noting outdated training requirements and the ever-increasing cost of flying. Finally, there’s someone at the top of the organizational chart who’s had the opportunity to experience those things first-hand. It just goes to show the difference between reading statistics from a spreadsheet or PowerPoint presentation and encountering them as senseless barriers keeping you from a long-held personal goal. I applaud Mr. Whitaker for broadening his horizons and have no doubt it will be a boon both professionally and personally. The only question I would have for him is: what can you do to convince more FAA personnel to jump into the pool? ← Who’s the Best Pilot? For readers like myself who were surprised not too many FAA officials weren’t even pilots came at a bit of a shock to me. While I understand that he is no neophyte, you would like that many of the foundation and backbone tasks he has to undertake that are dutied to him (from the one man above him) have to do with piloting and the regulations that come with it. Would this be something to akin as a Superior County Court Judge without A Law Degree? Just curious. Not knocking on Mr Whitaker…just wondering. It depends. Most have no expiration date, but some — the flight instructor and medical certificates, for example — do expire. I think this is good news for everyone, for all the reasons cited. Like you said, let’s hope this is the start of a trend. Personally, I think it should be a requirement in some, if not all, of these posts. I agree, it would be helpful if pilot certification was a prerequisite for key positions at the FAA. We wouldn’t have to push for so many common-sense things. If they were using the same system we are, they’d undoubtedly come to the same conclusions on their own. I’m sure it’s already required for some jobs — for example, conducting checkrides — but you mentioned the key word: trend. If enough folks at the agency became pilots, it would encourage others to do the same. Thanks for sharing Ron! Hopefully, the trend will continue with others working at the FAA who may get encouraged by becoming a pilot and learning first hand about the National Airspace System they regulate. This is encouraging. It is a step in the right direction. With someone so high up the chain understanding the challenges placed on pilots, it can only be good so long as he is and remains a voice of reason at the top. The FAA isn’t all bad. We like to come down hard on them and point the finger. Truth is, there are a lot of good people at the FAA trying to do the right thing. It is the ‘ignorants’ who haven’t gone through training that truly don’t understand. If we could have an FAA with Pilot Admins akin to an Apple with Steve Jobs (the guy who cares about products), then it is only good news for the everyday pilot. Looking forward to where this continues to lead up. Lots of great hope for the future! But, we must not let up and continue to fight for our rights and freedoms- especially that ultimate freedom of flight! True, the FAA isn’t all bad. In my experience, it’s comprised of many good people… but as an institution the agency is failing badly. Quite ironic. In a way, I feel for the individuals who work there because they have to answer to the DOT, the White House, the public, the media (who, as we all know, often get the story wrong), stakeholders groups like AOPA, and more. But as you noted, we have to keep their feet to the fire, vigilantly protecting our right to fly. History shows that such rights are hard won and easily lost.